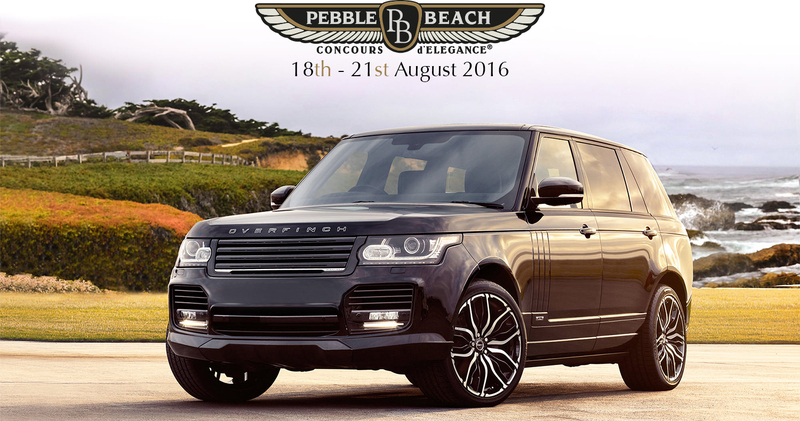 To celebrate the formation of our US subsidiary and the launch of a Product Development and Engineering Centre in Virginia, Overfinch is delighted to announce their attendance at the USA’s most prestigious automotive event: the 2016 Pebble Beach Concours D’Elegance. The Concours is a fitting setting for this milestone in the Overfinch story. As well as showcasing some of the world’s most extraordinary historic automobiles, the Pebble Beach Concours D’Elegance is host to many significant new car debuts and concept-car launches, including the world premiere of the unique Overfinch Manhattan Range Rover. With the Manhattan edition, Overfinch has taken the iconic Range Rover to a higher level of individuality and craftsmanship. Customers and Overfinch enthusiasts are invited to join us at Pebble Beach in August, to learn more about the vehicles on display and our future plans for the US market. Auto Advance Veldhoven is distributeur van Overfinch en heeft altijd een aantal Overfinch modellen op voorraad staan.